Our experiential interpretation of the routine brochure-swatch card staple of paint marketing, subliminally positioned. Woodtech as a well-finished, long lasting and imaginative brand — all by sparking its customers’ imagination. Woodtech is Asian Paint’s range of paints and finishes for wood with a diverse polyester palette. The client was looking for a way to bring home the true look and feel of their product in a way that would get architects, interior designers and stylists, not just interested but inspired. A comic-style book that told the story of a life without colour. 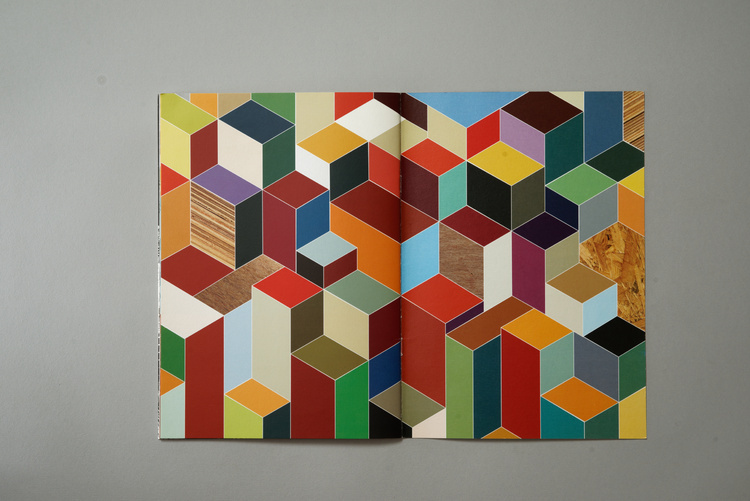 As the pages turn, colours transform the world inside, much like the promise of Woodtech’s PU palette. For a product like Woodtech, touch, feel and finish are critical. We turned the humble swatch into an experiential, memorable and fun DIY keepsake. Not only could designers actually see and feel the finishes, they could build with it. Each construction set contained pre-cut, interlocking swatches that form 3D animal mascots — one for each Woodtech palette. the embodiment of its fun colours and luxrious skin. Kibibi the robust rhino queen of Super Premium Polyester reflected material’s invincible strength and eternal beauty. Juno the Emporio elephant, spoke of a quiet sophistication, a strong presence and durable surface.